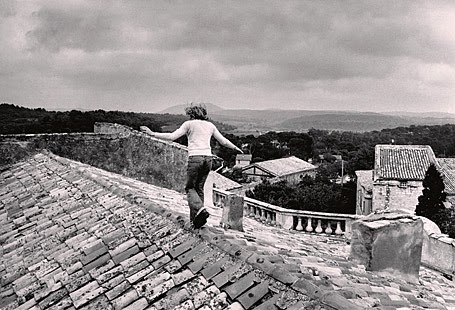 That photo shows the charismatic Scott Ross taking a trip across the rooftop of Chateau Assass in Languedoc where he recorded Jean-Philippe Rameau's complete harpsichord music in 1975. 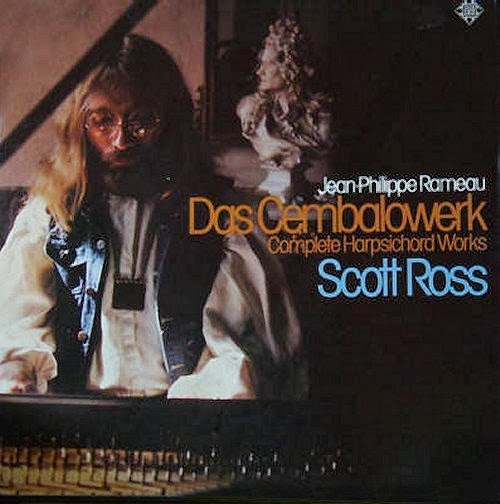 Last week I expressed one wish for this year's Rameau anniversary: that Warner Classics reissues Scott Ross' masterly interpretation of Rameau using with the original dress convention defying artwork. Now Warner has contacted me with the excellent news that the complete 1975 recordings are being reissued this autumn. They were non-committal about the artwork, but it will be good to have Scott Ross' Rameau in new CD transfers to treasure alongside his monumental Scarlatti set, irrespective of the picture on the packaging. It is fashionable in some culturally commentated quarters to deride Warner Classic's due to its ownership by Ukrainian-born American Leonard Blavatnik. This ownership by Blavatnik's private conglomerate Access Industries is no more and no less contentious than the ownership of the much larger Universal Music (Deutsche Grammophon, Decca etc) by public conglomerate and no stranger to scandal Vivendi. But there are two significant differences between Warner and Universal. One is that Warner does not have the commissioning power of a clandestinely owned "independent" website to tilt the playing field in their favour. The other is that Warner is showing a real commitment to classical music which is evidenced by the quality of documentation and excellent sounding transfers in their first reissues from the recently acquired EMI catalogue; this commitment to the past as well as to the future is a refreshing contrast to Universal Music's risible attempts to reinvent classical music as a sub-genre of pop. Ownership of priceless intellectual property by any profit hungry conglomerate is a serious cause for concern; but when there is good news let's shout it from the rooftops. Also on Facebook and Twitter. Header photo comes via an excellent article (in French) about Scott Ross at Chateau Assass from Télérama Fr. Any copyrighted material on these pages is included as "fair use", for the purpose of study, review or critical analysis only, and will be removed at the request of copyright owner(s). That's wonderful news the Rameau will be released later this year. I wonder if his Couperin will ever see the light of day on CD.